Deirdre Michie of Oil and Gas UK is part of the speaker line up for next month's event. The speaker line-up has been announced for this year’s Southern North Sea conference. Around 1,200 people are expected at SNS2019 next month, the flagship event from the East of England Energy Group (EEEGR). 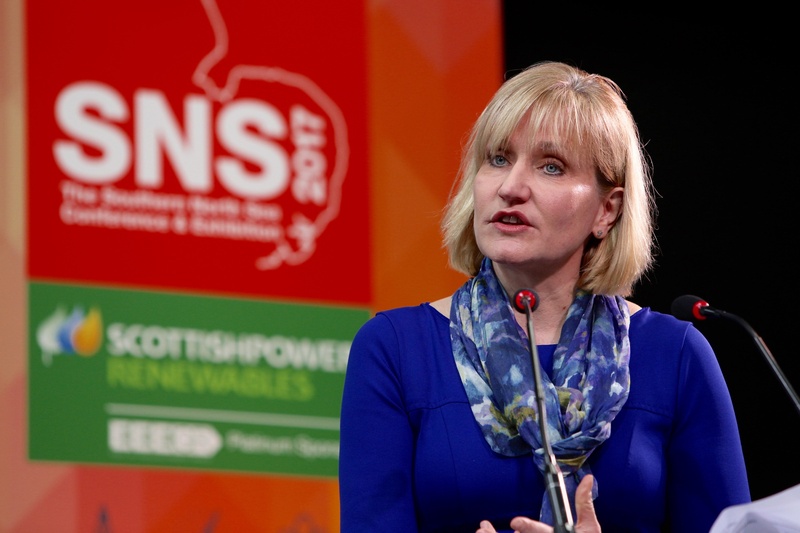 Oil and Gas UK CEO Deirdre Michie, Renewable UK CEO Hugh McNeal, The Oil and Gas Authority’s Southern North Sea Area Manager Eric Marston and Jim Crawford of EDF Energy complete the keynote line-up for day one. Day two will feature Susan Falch-Lovesey of Vattenfall, along with Graham Hacon, CEO of 3sun Group and Rachel Elliott of skills body OPITO. The conference will take place on May 15 and 16 at the Norfolk Showground Arena in Norwich, focussing on new technologies and the transformation of the energy sector. Shell, Decom North Sea, Perenco, and Scottish Power are also among those to hold sessions at the conference. Organisers were left disappointed when last year’s event – held in February – was called off just minutes before it was due to kick-off thanks to the Beast from the East causing a blizzard in Norwich. It was later rescheduled and took place last May. More information on the 2019 event can be found here.